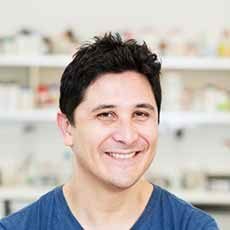 Daniel is a research fellow whose work focuses on understanding how the nervous system controls intestinal function and how to develop better strategies to influence this control for therapeutic applications. He has expertise in receptor trafficking and signaling in neurons using imaging-based techniques. Fundamental studies of G protein-coupled receptor trafficking and signaling in neurons, with a major focus on opioid receptors.